Carlo’s is based in the picturesque countryside of Castle Douglas in Dumfries and Galloway. It was established in 1988 by proprietors Carlo and Heather Bignami. The restaurant is a small family-run business with only twelve tables, allowing for a comfortable and relaxed dining experience. From the Lombardy region of Italy, Carlo has over thirty years experience as a chef. Carlo always sources local products where available and his specials reflect seasonal produce. 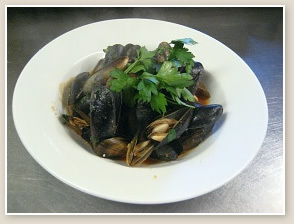 At Carlo’s, fresh fish is important, with mussels and baked sea bass being a speciality!